Doom Legacy works very badly in recent systems and developpers don't really care anymore. Meanwhile, ZDoom and its forks became more and more popular while giving more features. I think porting this wad to ZDoom was just good common sense. 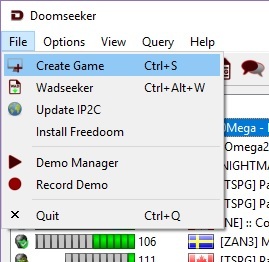 Where can I find DOOM2.WAD? Because of legal reasons, i can't provide this file. But you can either buy it on Steam or you can go to the freedoom project website and get the free Freedoom Phase 2 iwad which will work perfectly. How to play this in multiplayer? 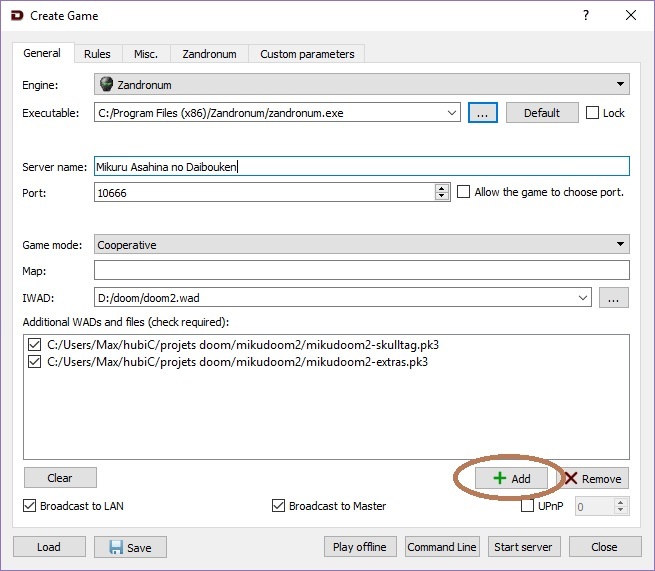 If you don't have it, download and install Zandronum + Doomseeker. 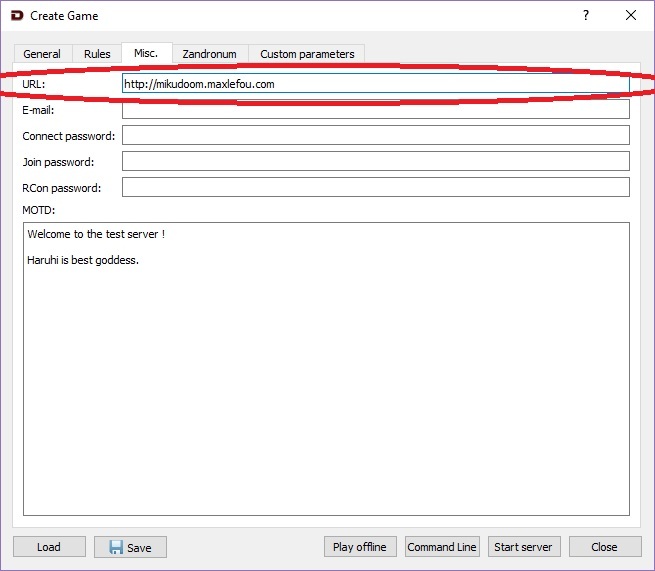 Click Start server, join it by clicking File / Join server and enjoy ! Why there is 4 pk3 instead of just 2 or even 1? If there is a version for Skulltag and one for ZDoom, it's because the custom ending sequences doesn't work on Skulltag and just prevents the pk3 to be playable. On the other side, GZDoom is multiplayer capable but not ready for an easy user experience. The high quality musics have been put in a separated pk3 for size and bandwidth reasons in multiplayer. Then what's the difference between the skulltag pk3 and the zdoom one? A single one: The normal one displays a custom ending sequence that makes Skulltag/Zandronum crash. The skulltag version doesn't have these endings and, when you complete the last map, you get back to the first one. Is this mod compatible with Brutal DOOM / any other weapons mod? Is CCIDave aware of this port? Did he allowed it? Of course. He even got an eye on the development and even tested the betas before release ! Copyright © 2008 - 2016 JMF Games and CCIDave. Theme Travelify by Paddy Xu.